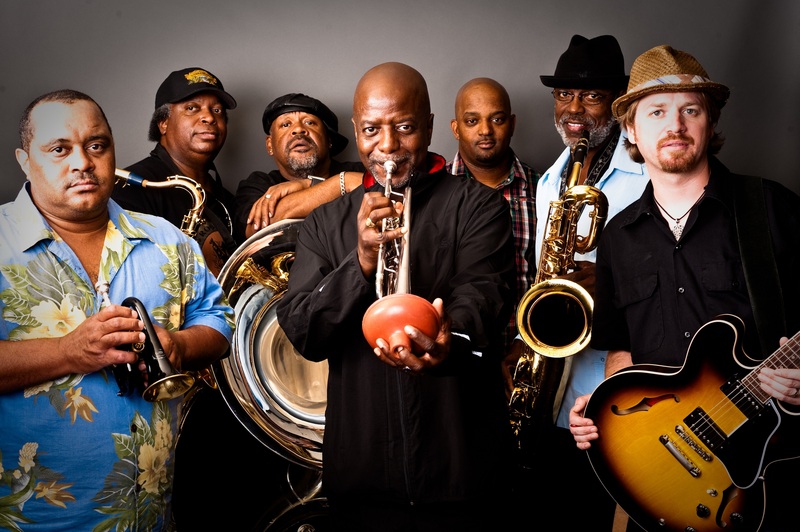 The popular Crazy Mountain Brewery Hot Summer Nights free concert series closes the door on another season this Tuesday, but not before going out big with the Dirty Dozen Brass Band, who will take the stage August 18 at 6:30 p.m. at the Gerald R. Ford Amphitheater in Vail. The Dirty Dozen Brass Band is a New Orleans, Louisiana, brass band. The ensemble was established in 1977 by Benny Jones together with members of the Tornado Brass Band. The Dirty Dozen revolutionized the New Orleans brass band style by incorporating funk and bebop into the traditional New Orleans jazz style, and has become synonymous with genre-bending romps and high-octane performances. They have revitalized the brass band in New Orleans and around the world, progressing from local parties, clubs, baseball games and festivals in their early years to touring nearly constantly in the U.S. and in over 30 other countries on five continents. The Dirty Dozen have been featured guests on albums by artists including David Bowie, Elvis Costello, Dr. John and the Black Crowes. The city of New Orleans even has an official Dirty Dozen Brass Band Day. The Gerald R. Ford Amphitheater is located east of Golden Peak at Ford Park in Vail. Concert attendees are asked to park at the main Vail Village parking structure, with overflow parking at the Lionshead parking structure. For added convenience, the free Town of Vail shuttles will run extended routes past Golden Peak from 5:30 – 9:30 p.m., with a drop off at the soccer field near the Ford Amphitheater. Additionally, a special Village-to-Village express bus will run from 4 – 9:30 p.m. with stops at the east entrance of the Lionshead parking structure, in front of the Vail Village Information Center and at Ford Park. The Gerald R. Ford Amphitheater and Crazy Mountain Brewery’s Hot Summer Nights are projects of the Vail Valley Foundation. For additional information, contact (970) 777-2015 or visit www.vvf.org.